We welcome bargains in any part of the world but in Paris, they are an absolute must. So far, I’ve been able to snag deals on Groupon.fr for our one “splurge” dinner at a restaurant owned by Gerard Depardieu, and for froyo and marshmallows– both in the pricey 6th arrondissment of our (not so pricey) hotel. 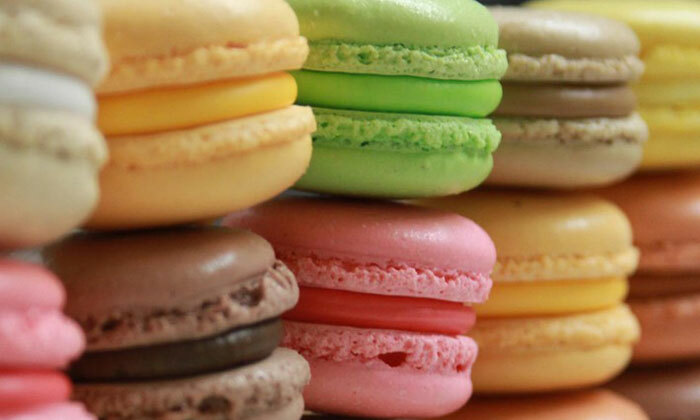 These delectable looking macarons are part of another Groupon which we won’t be in town to enjoy. ← Finally, a Blog. Stay Tuned for Our (Mis)adventures in India and Paris. I love macaroons! Those look right. Have fun. Thanks, Berny. I’ll see what we can do about bringing back some.